For our Hu-Dad...who gives us love and treats, and literally builds a roof over our head so the icky rain doesn't touch our precious Siberian Husky fur when we lounge out on the deck. For our Hu-Dad ...who pets us as we take over the living room floor, couch, chairs, bed, everywhere! 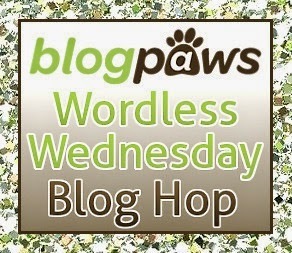 For our Hu-Dad...who never flinches at our vet bills (okay, maybe he winces a bit). For our Hu-Dad...who runs out at the midnight hour when Hu-Mom suddenly realizes we may be low on food (sorry, Hu-Mom, but sometimes you do!). For our Hu-Dad who...barbeques the very best burgers and always make us one (like today)! Happy Birthday wishes and woos! 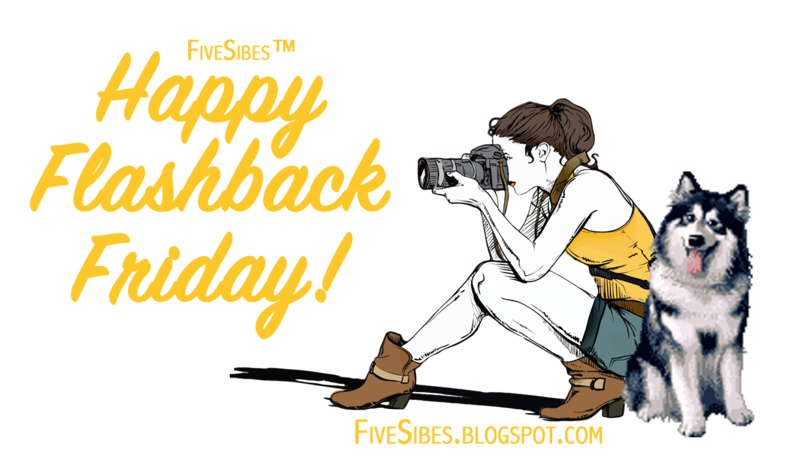 Kicking Off Memorial Day Weekend With Pet Safety Tips on #FiveSibes Flashback Friday! 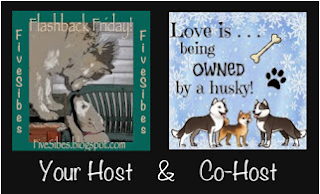 On this special FiveSibes Flashback Friday, I'd like to share this pets' holiday safety tips graphic, featuring my furangel Gibson in a patriotic photo from a few years back, as a reminder so everyone, including our furbabies, can safely enjoy the long holiday weekend. Pin me! Tweet me! Share me! Monday is Memorial Day, a day of remembrance for fallen United States servicemen, women, and canines, who bravely served our country. While it unofficially marks the start of summer in many areas, with family get-togethers, picnics, barbeques, pool time, and more, we can not forget the true meaning of the day and take a few minutes to pay homage to those veterans who made the ultimate sacrifice throughout the years for our country. With Special thanks to Phil Weitlauf, U.S. Army Veteran- 1962-1968- Vietnam Era, for this video. (Please note, video may not play on mobile devices). For more information on the U.S. War Dogs, visit the United States War Dog Association HERE. For so many other K9 soldiers, their handlers, and human soldiers, sadly did not return home. And today, Memorial Day, is a day of reflection, respect, and honor for those who gave the ultimate sacrifice so that we may enjoy the freedoms we do each and every day. We thank you for your service. Video via the History Channel (Please note: video may not play on mobile devices). 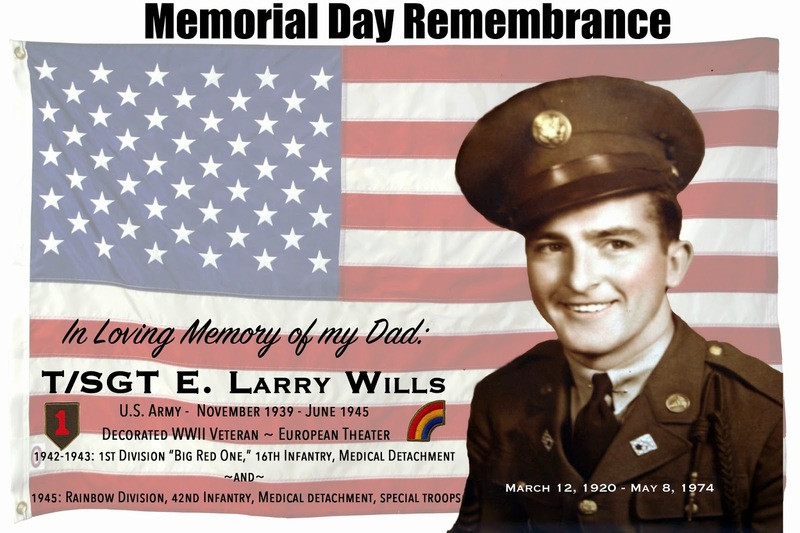 This Memorial Day weekend post is dedicated to my late Dad, who served with the U.S. Army's "Big Red One" 1st Division, 16th Infantry and his second tour with the Rainbow Division, 42nd Infantry. This photo was taken of him during WWII on base with two of his furpals. His compassion for, and love of, dogs is just part of his legacy.While my dad survived two tours in WWII, we did lose him way too early, just 34 years after his honorary discharge. 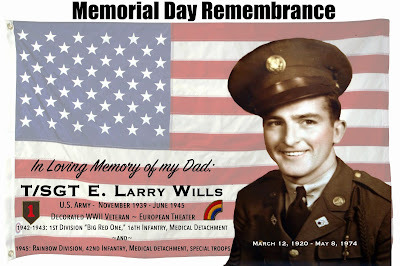 This Memorial Day, I'd like to remember and honor my Dad for his brave service. 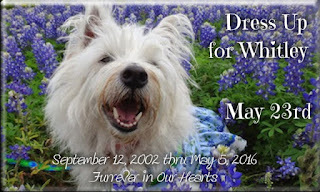 Today, we are joining in the Blogville's "Dress Up for Whitley" Day in memory of our sweet furpal. 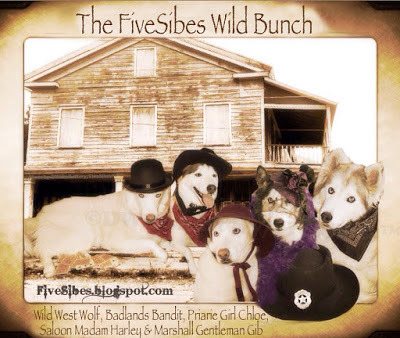 Since Whitley loved wearing pretty little dresses her momma made for her, and she loved all things Texas, I thought my FiveSibes Wild Bunch dressed in their Old West duds would be the fitting photo to honor our sweet little furangel friend. There sure will be a rootin'-tootin' fun time up at the Rainbow Bridge today, that's for certain! 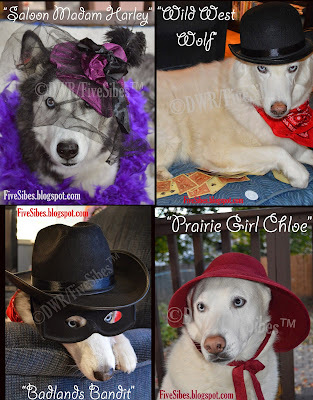 We are joining Dory's Backyard and many other Blogville folks today in the Dress Up for Whitley blog hop! We hope you'll join in and be sure to hop around and see what other wonderful outfits bloggers are wearing today for sweet Whitley! 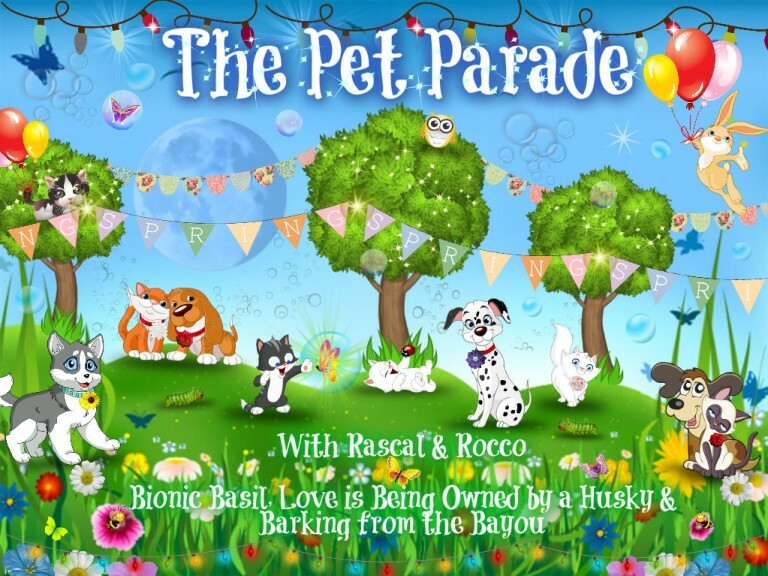 What a wonderful community Bloggerville is! Shave a Husky? Don't Do it! When the warmer weather arrives, I hear so many folks talking about shaving their Siberian Huskies. When I hear this, I want to hold up that big red STOP sign, and say, "Please, Don't!" 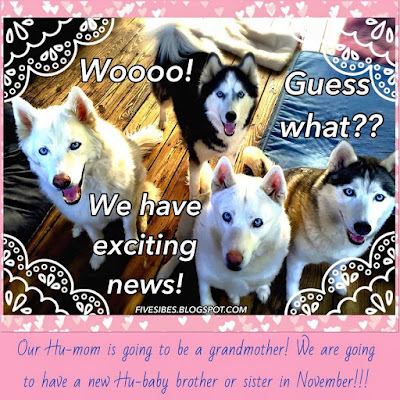 While you may be hot looking at a Husky with all its fur - especially a wooly - but trust me, it does not bother him or her! Unless specifically for medical reasons (as recommend by your vet), it is never a good idea to shave a Husky. 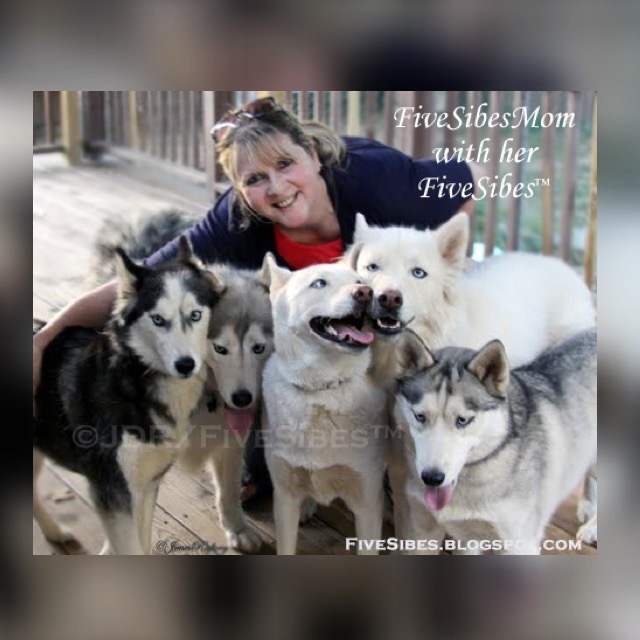 Last summer, after having a conversation with my groomer about shaving Huskies, a double-coated breed of dog, I realized just how popular this idea is with folks, groomers included. I have also had readers send me photos of their dogs that had been shaved ~ without their permission ~ and concerned about the regrowth of their hair. 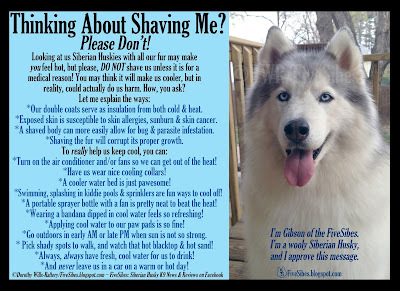 It seems when the thermometer rises, people are tempted to shave their Husky (or northern-breed dog). Last spring, after Gibson was finished being groomed, I did a photoshoot with him and have now put together the top graphic about why Huskies should never be shaved. It is my hope to help educate others, including first-time and potential Sibe parents, as well as groomers, unfamiliar with the breed, to help stop this all-too-frequent seasonal ritual from occurring! 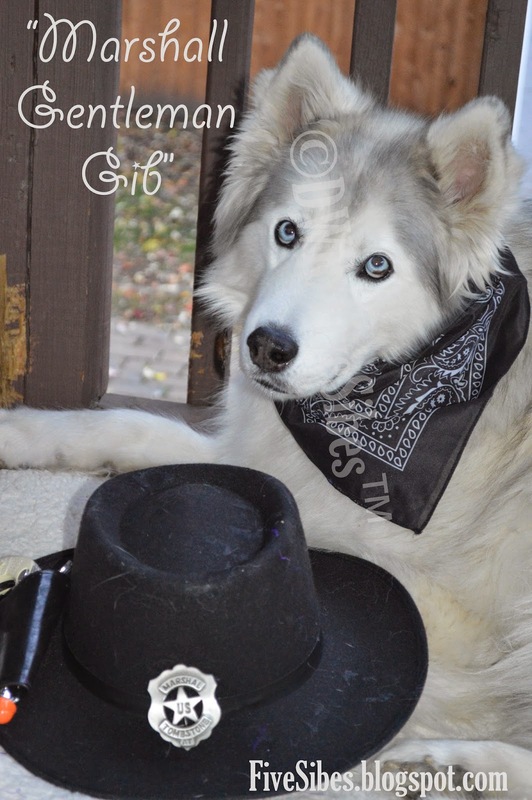 While a Siberian Husky should never be shaved (other than for a medical reason), it is important for your Husky's health to always keep him/her well-groomed and brushed. Newsy Tuesday: Article on Pet Preparedness in American Pet Magazine! Do You Have a Plan? *New Release* - Check out my ‪article on "Disaster Preparedness: Do You Have a Plan for Your Pets?" 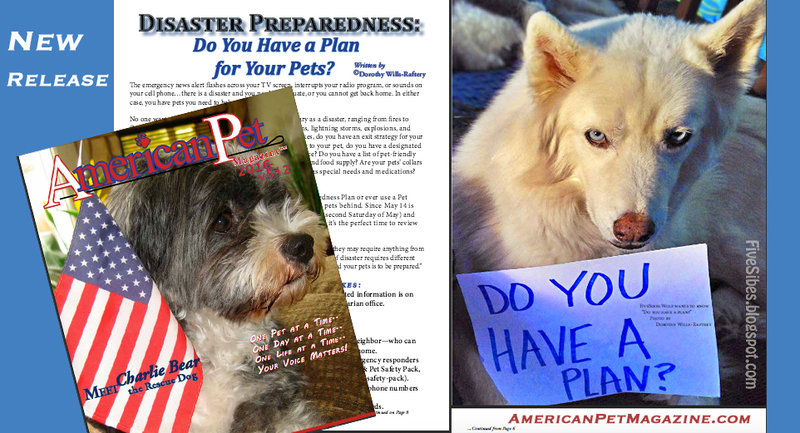 that includes pet preparedness information, items for an emergency first aid kit, and some helpful mobile apps. 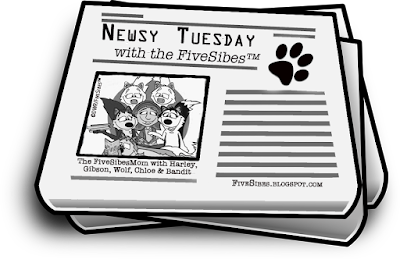 See pages 6-11 in the newest V5, Issue 2 edition! Read it online at American Pet Magazine HERE! 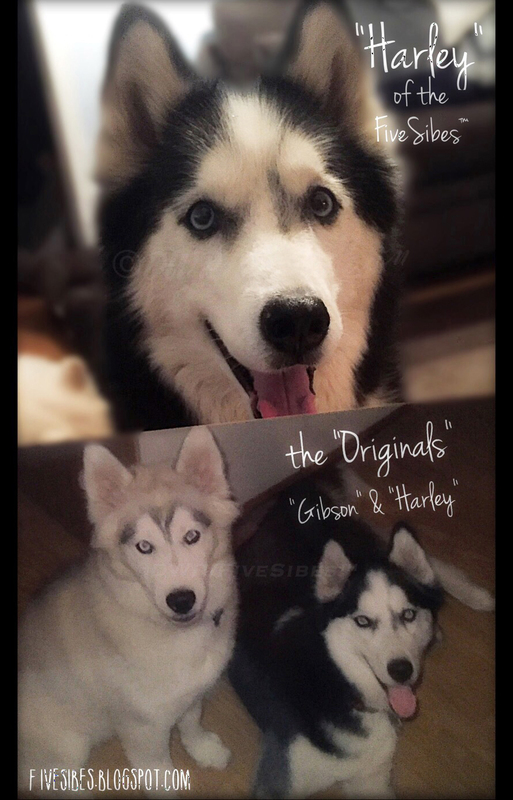 Today, Harley is showing a photo of "the Originals" of our FiveSibes pack family ~ her and Gibson from when they were puppies! We are flashing back 10 years to when Gibson joined our family at four months of age, and Harley, the love of his life from first glance, was just over a year old! 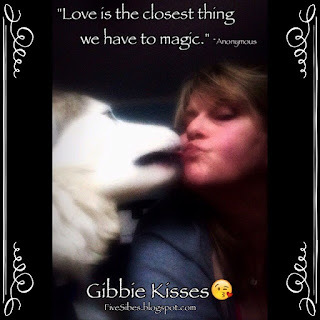 While this month marks five months since Gibson journeyed North of the Rainbow Bridge, in other ways it seems this photo was just taken only a short while ago. I miss my "married couple" and how they were always together, snuggling. As much as I had a very special bond with Gib, so did Harley. He was so smitten with his beautiful alpha queen. Oh, how precious time is, and it does indeed keep marching on. So keep sharing special moments together, making tomorrow's memories today. Ode to All Moms: Happy Mother's Day! Today marks my first Mother's Day without my beloved Mom and my boy Gibson. My heart is heavy with their loss, and just one month apart. This month marks six months--a half of a year--that my mother has been gone. Five months since Gibson earned his silver wings. And today is the date my father passed away, 42 years ago. Time stops for no one, yet leaves us in such a surreal state. They will always be in my heart and in my memories, and I'm so thankful for having them in my life. 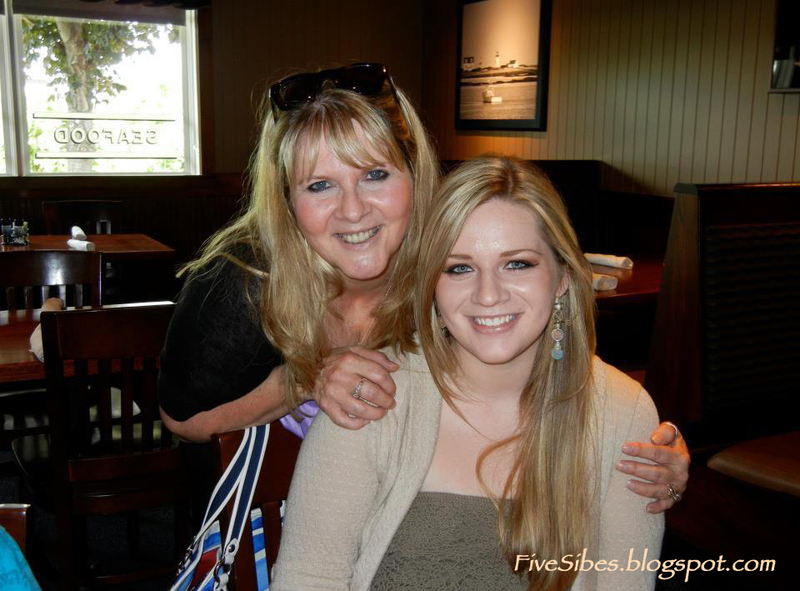 I am also very blessed to be a mom to a wonderful, caring, beautiful daughter who makes every day a gift with her joy and love! 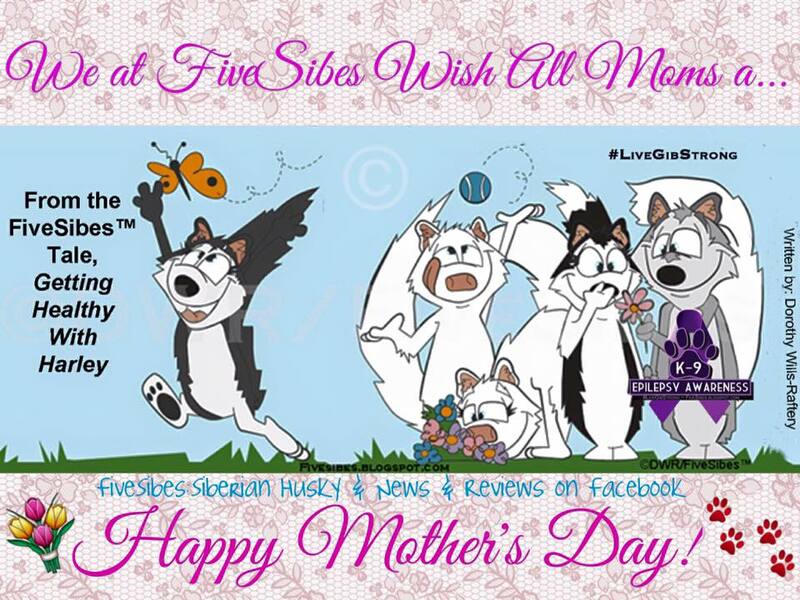 I am also happy to be the FiveSibesMom, and for my four remaining Sibes who continue to share their Husky love and make me smile, even though we all feel Gibson's absence. loved ones who have left should be...yet, happiness for all the blessings still remaining in our lives. There are many kinds of mothers out there - moms, moms-to-be, adoptive moms, foster moms, moms in Heaven, moms of angels, stepmoms, you-are-like-a-moms, moms-in-law, and pet moms. 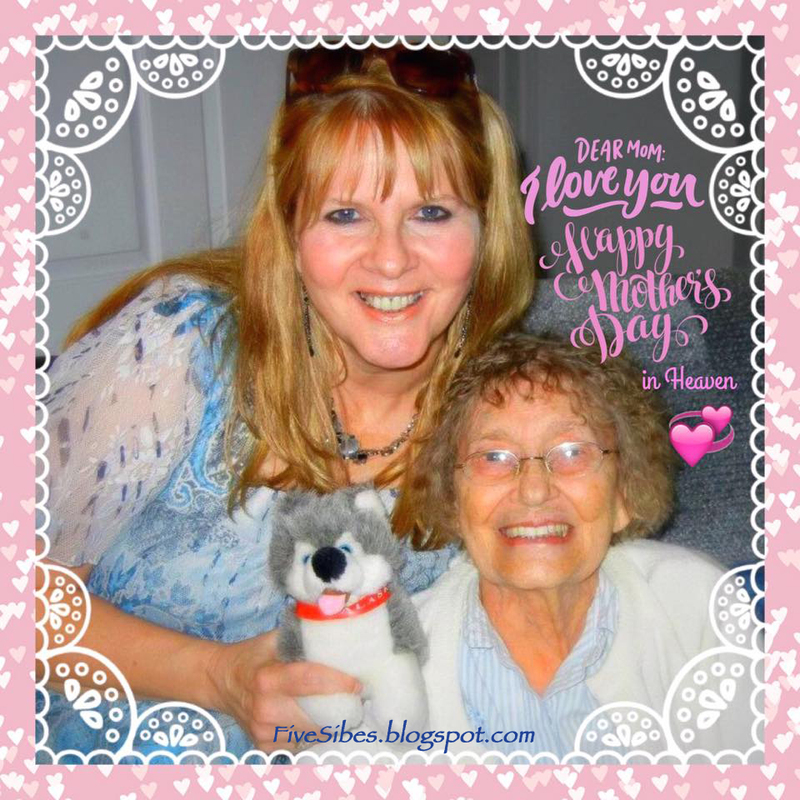 Today, is a day to rejoice that we are moms ourselves, and to cherish, spoil, thank, remember, and pray for all moms, worldwide for a mother's love is everlasting. My gift - my beautiful, kind daughter, co-Husky mom & very best friend. My Mom loved to go down by the water and feed the seagulls at the beach.We used to freeze our leftover bread during the week to take down with us, and a local sandwich shop saved us their leftover rolls. The seagulls would have a feast and my Mom had so much fun. Growing up, we spent summers at the shore. The seagulls and waves brought us back to those sweet earlier days of my childhood my Mom and I spent at the ocean with my grandmother, aunt, and two cousins. Listening to my Mom laugh in this video brings me right back to that particular Mother's Day five years ago, and I smile. 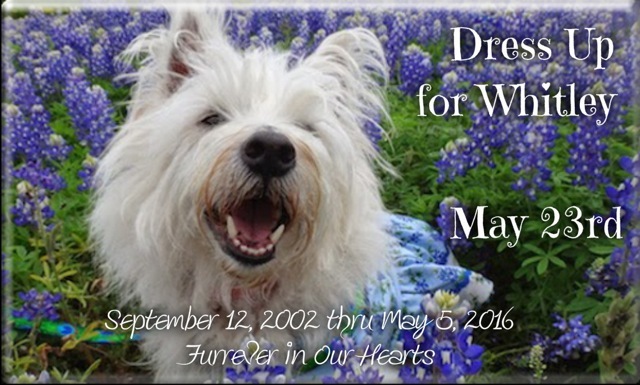 This was our special thing to do, and it brought her so much joy. And I really think the gulls knew when she was there! If I close my eyes, it's as though we were just there, together. I love and miss you, Momma. Flashback Friday: Huskies Take Manhattan! Today's Flashback Friday dates back to 2012, when my photographs were selected to be part of the Creative Rising See.Me digital art exhibit in New York City. I was contacted after the show with a special announcement that one of my photographs would join other photographers and artists from around the globe in a skycraper show in Manhattan - my photo of Gibson was shown at 11:32 PM on Saturday, October 5, 2012! 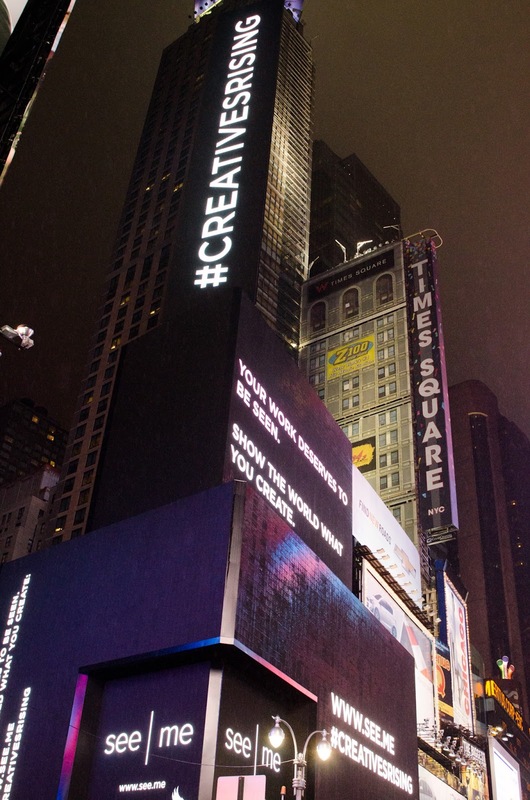 Times Square Skyscraper Gibson Adorned. This was definitely one of the amazing and defining moments in my career, and in my life. 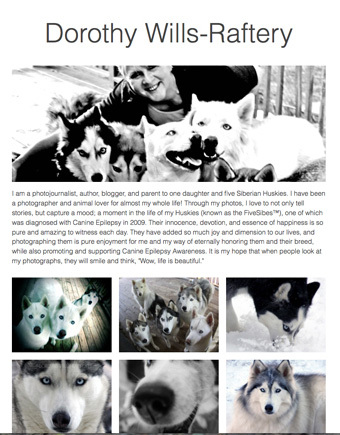 I'm so honored my FiveSibes lit up the digital screens at the art exhibit, and that it was my portrait of my boy, Gibson, soaked in melting snow, that represented not only my work as a photographer, but it represented the magnificent breed of the Siberian Husky, and together we showed the world the face of Canine Epilepsy is a beautiful one. 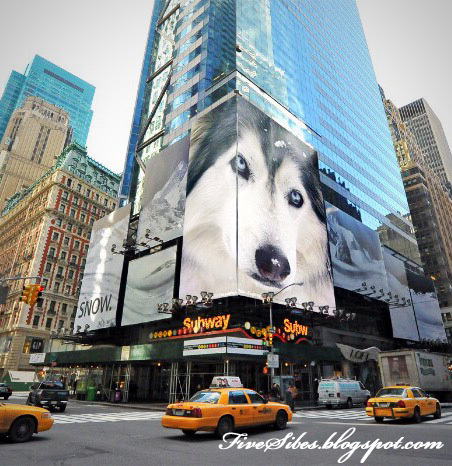 For one brief moment in time, five Siberian Huskies, known as the FiveSibes, showed the world their beauty, and a wooly Siberian Husky named Gibson took over the Big Apple! Woo! May the 4h Be With You: Happy Star Wars Day!